In case you're not up to speed, this is the seventh bake in The Great Blogger Bake Along series. Read about it here. Stop what you are doing, go to the recipe link in the next paragraph, and make this. This has been the favorite bake in this house so far. Or maybe the florentines? Regardless, I think it's safe to say we're going to love the French and Italian cuisines on our Europe trip in the fall. Florentines and ciabatta are Italian, and these delicious pastries are French. I even got the stamp of approval on my Kouign Amann pastries by a real Frenchman earlier this evening! 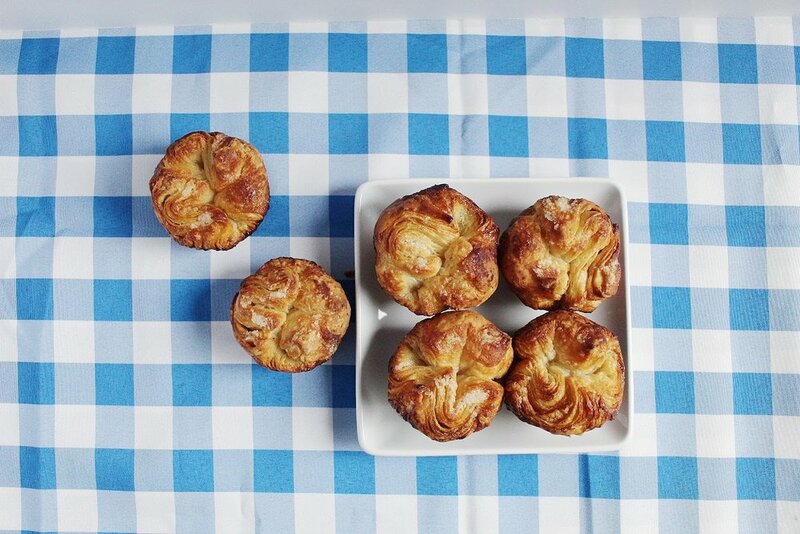 Kouign Amann pastries with a crusty outer layer and perfect, buttery, sweet layers inside. Would either of us bake this again? Well I think that's obvious... YES! Tomorrow maybe?! I'm in love. After last week's debacle with the Prinsesstarta Cake, I was looking forward to this since there were simple ingredients and minimal steps. Even though it required a commitment because of the chilling of the dough it was still easy. I have three basic cakes I really like and tend to use. Many adaptations can be done with fillings and frostings. Fancy cakes that are labor intensive and expensive don't trip my trigger. Bread on the other hand does appeal to me... any bread item. I rarely buy it in the store since it has an unappealing texture and preservatives. Give me a fresh bread that I have to freeze in order to keep fresh any day! Making homemade croissants has been a goal of mine and these made me think of them. They were pretty close with exception of the shape and these are sweet. Absolutely delicious! Light and crisp on the outside beautifully layered on the inside. 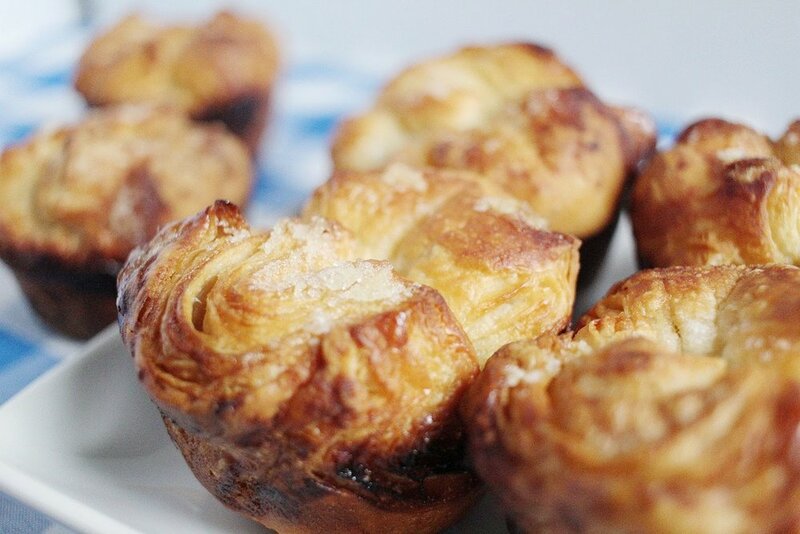 If you want to feel like a french pastry chef make this recipe. There were no problems making them and am happy for the experience. 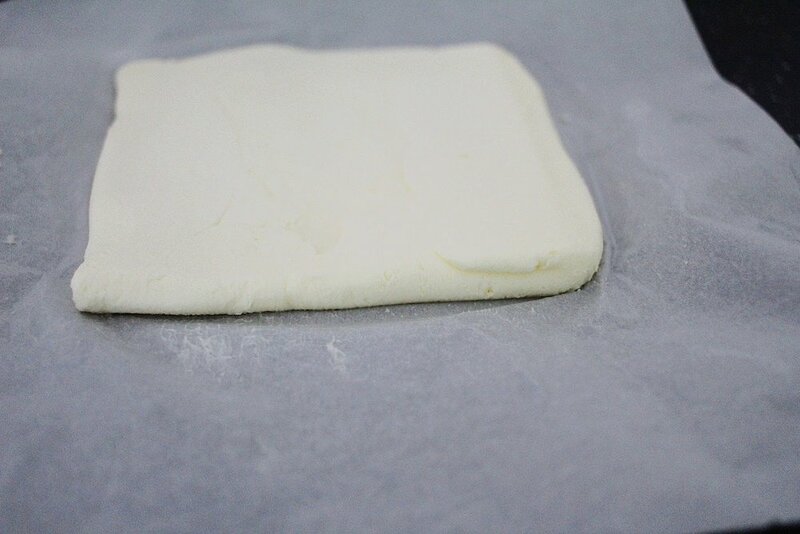 A fun fact: the final proofing can be done overnight in the the refrigerator and baked fresh in the morning. If you do this, make sure you set them out long enough for the dough to reach room temperature before baking. What a great B & B breakfast item. Go for it, you won't be disappointed!